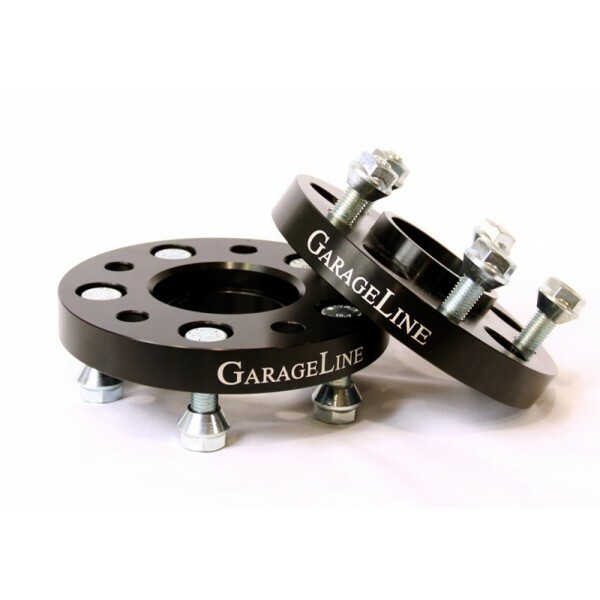 Offered in the specifc STI Wheel Pattern, proper bore and Stud type.GarageLine Wheels Spacers are made from billet aluminum turned on a HAAS CNC Lathe and Mill, each component is made with a precision that is unmatched by any competitor. A best of show quality black anodizing is the only finish to stand out better than all of the rest. 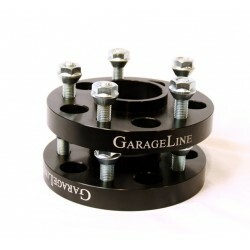 These are made for the specific customer that wants only the highest quality materials and manufacturing processes. We use strong minimum grade 8 bolts heat treated to ensure you have the proper strength studs holding your wheels on your car. Also includes the proper sized hubcentric ring for a true wheel rotation and smooth riding. Installation of these spacers will give your sti the aggressive stance that is required these days and a noticeable increase in handling stability.